Our range of products include jet black potting compound, acrabond en-4554 (led driver potting compound) and supu- 4433 flexible soft potting compound. Acrabond Potting Compound -Black Resin 774 & Hardener-252 is mixed in the ratio of 4:1 to form a hard mass to conseal PCB and its components from moisture ingress, dust & dirt particles , impact resistance and pilferage of design (tamper proof). It forms a hard pot on PCB which is permanant in nature, its special property of thermal conduction protects the component and circuit from damage due to heat. Its IR(Insulation Resistance) is more than 1MK. 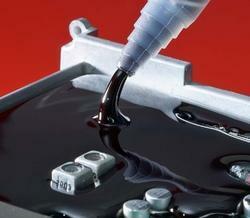 Acrabond-774 Black Potting Resin & Hardener-252 is perfect potting compound for component industry. 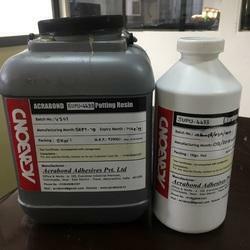 Acrabond Potting Compound Supu-4433 Is A Polyurethane Based Potting Compound With A Resin To Curing Agent Ratio Of 5:1 It Has Excellant Water Resistance And Is Soft After Setting On Pcb. It Is Reworkable As It Can Be Cut With A Knife Edge And Components Are Exposed. 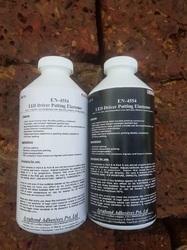 Looking for Potting Compound ?